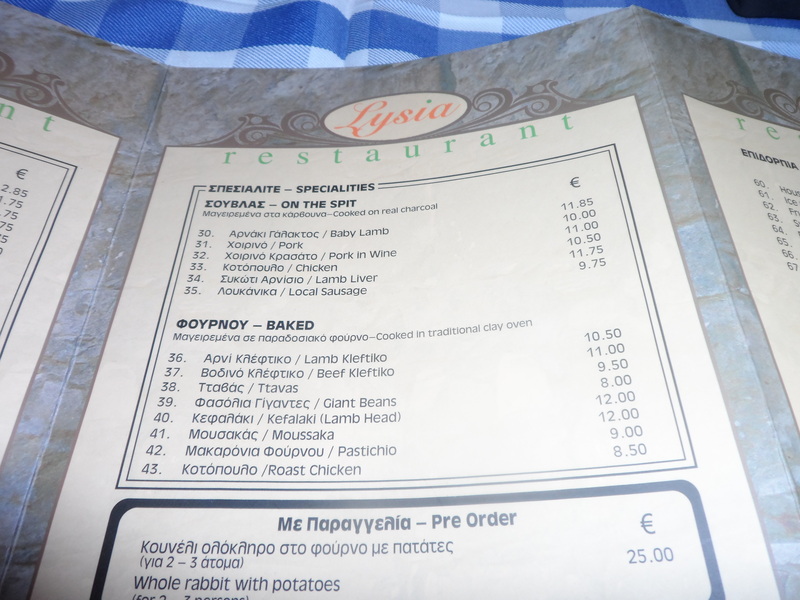 Fun story for me, because on my very first trip ever to Cyprus, about 5 years ago I went to this restaurant with my wife> I remember the good traditional food and then made myself a promise to come back here one day. 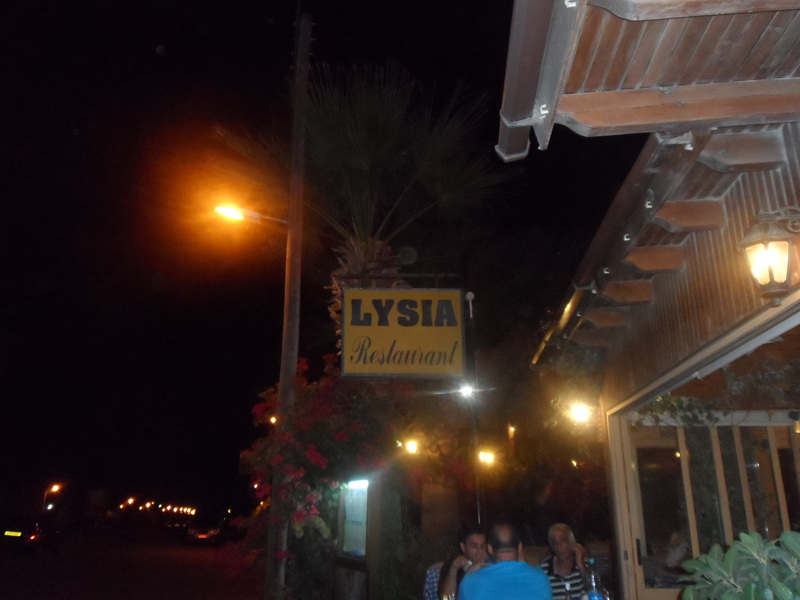 Now writing this blog and also being in the same area of Cyprus, you can imagine I need to go back !!! 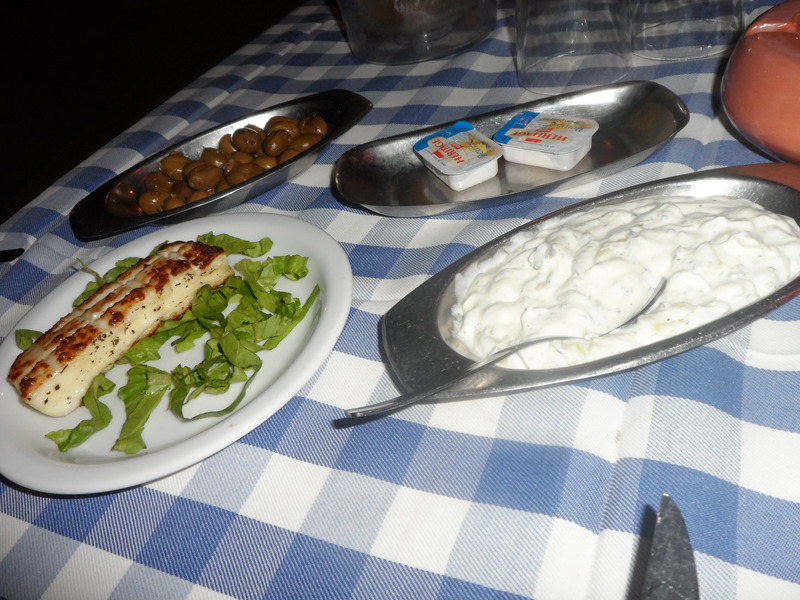 Grilled Halloumi (you cannot visit Cyprus without eating this dish….). 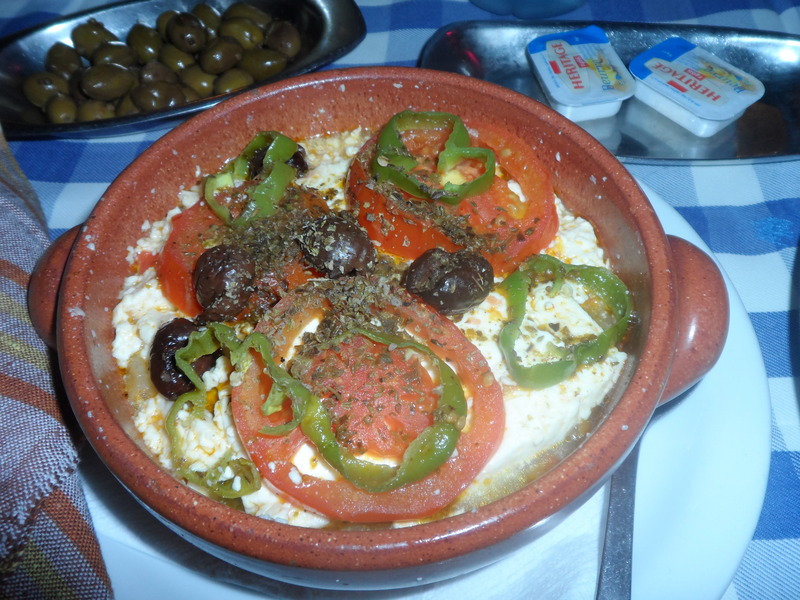 I had grilled Feta as well…. 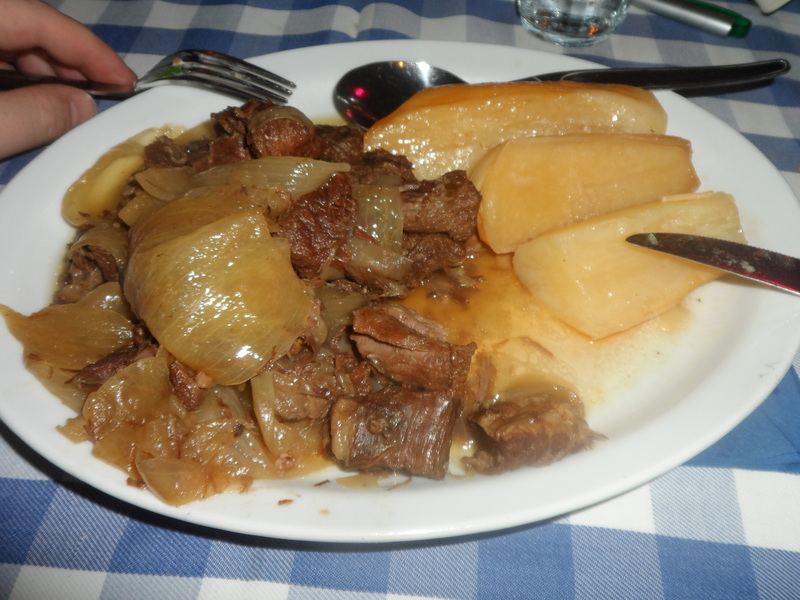 the homemade specialty Stifado and the 1 dish I remembered, grilled veggies with a cheesy crust….yummie !! And of course as a wine just 1 option, the Greek Retsina by Kourtaki…!!! + No tourist trap or sleazy salesmen on the street, even being close to the big hotels. 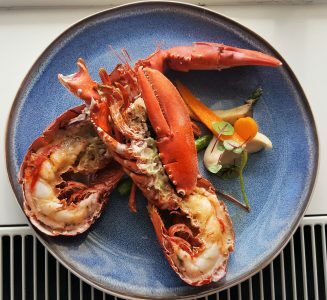 Food: 7.4 – average, traditional, correct but I rememebered better form the first time…. Coziness: 6.5 – in style, hard chairs, close to the road, but I can have it here. staff: 8 – very warm people, very quick, good english, helpful, only so damn quick…..
Price: 7.3 – Local price, but Cyprus is expensive, so to much for this food, good price for this location….